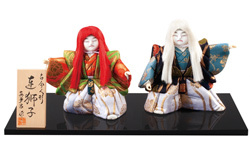 This decoration represents a role of kabuki play parent-child lions. 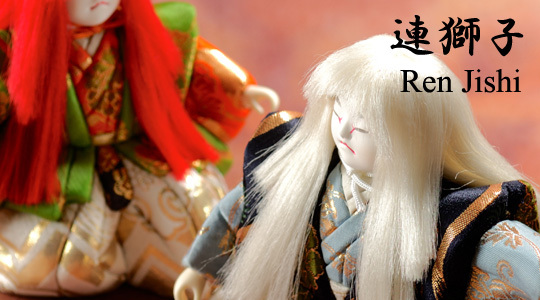 The father lion pushes its offspring into valley floor in order to try its limit of courage. 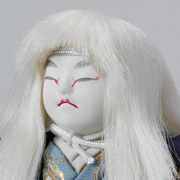 The lion is often called the king of beasts, thus peony flowers, also called the king of flowers in East Asia are printed on the costumes. 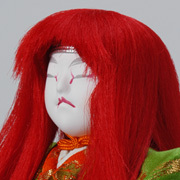 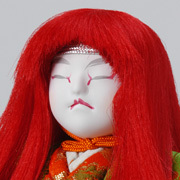 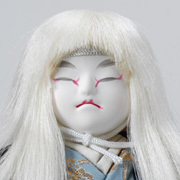 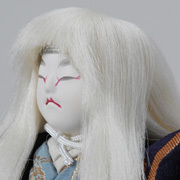 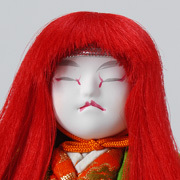 This Ren Jishi dolls have pretty face.